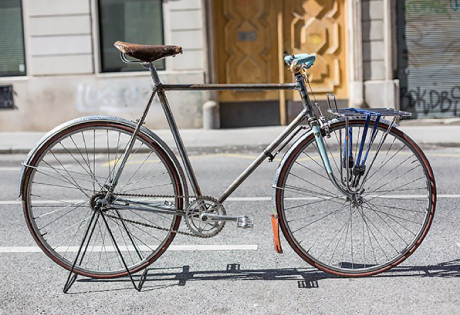 Convert an old steel frame to take modern equipment? I would say our customers are split 50:50 between building their renovated frames up with period components and converting them to take modern equipment but in a retro style. There is no right or wrong. Surely its better to give a neglected steel frame and new lease of life, rather than consign it to the skip? In my last post I showed you how to look for problems when buying a secondhand frame with unknown history. I recommend you have a read because much of what I shared in that article still applies and will help you avoid buying something which you’ll regret later. Getting a classic looking bike with modern improvements is a great concept and there are now plenty of components available to help you do just that while keeping that retro look. 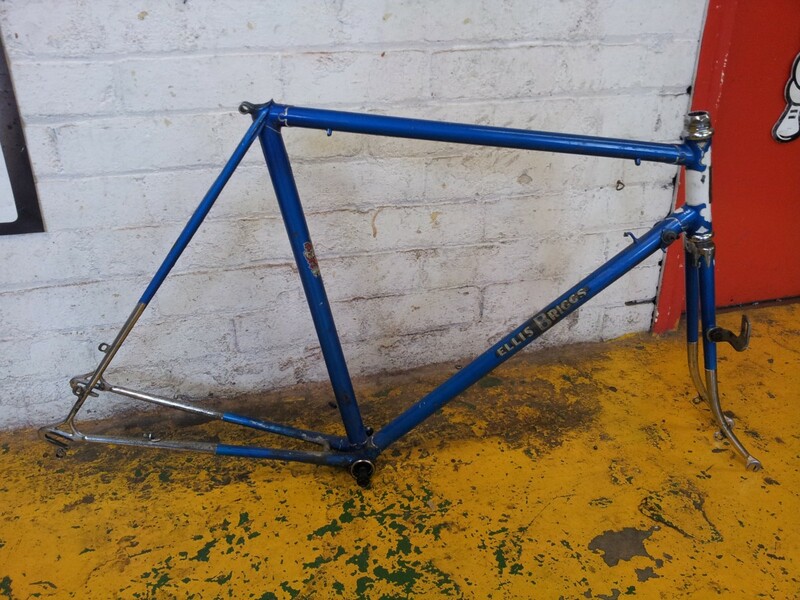 However before you run off and buy a secondhand frame off ebay, there are a few things to bear in mind. To be honest lugged frames can look pretty similar but you really have to look at the details (if you like to learn more about steel frames, check out our framebuilding courses). Personally if your looking to convert an old steel frame to take modern equipment, the frame needs to be at least from the 70s to be a candidate for modernisation. A lot of frame built before the 1970s, don’t have modern geometry and are really not suitable for fitting modern equipment. Once you get into the 1980s the alterations needed on a lot of frames are a lot less, so an 80s frame is probably the best candidate. The older the frame is, the more alterations its going to need in order to fit modern equipment. Your frame may have French or Swiss bottom bracket threading. 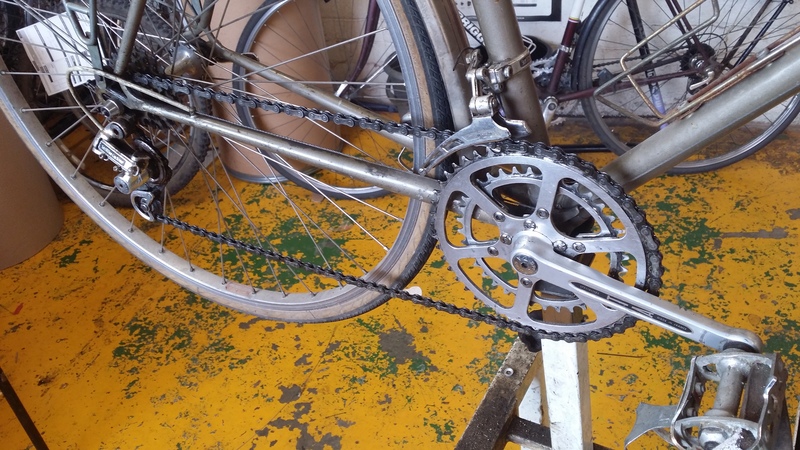 Although there are conversion bottom bracket units available to get round this problem somewhat, although you will have to fit a square taper crank. Your frame may have been built for 26 X 1 1/4″ wheels or 27 X 1 1/4″ wheels. In which case it’s not a case of just dropping a 700c in. The older frame the more likely it is to have much deeper brake depth than modern brakes. There are way around this such as extra deep brakes. However we prefer to avoid them as they are not very effective at braking. How many gears was the frame originally intended for? Any frame (built for derailleur gears) built before the 1990s is going to have been built for either 5, 6 or 7 speed. So the space between the dropouts is most likely going to be somewhere between 120mm and 126mm. If you have less than 126mm spacing, we will recommend fitting a new brake bridge. Otherwise when we re space the rear end the seatstays will start to bow. Modern hubs are 130mm wide, it doesn’t sound much difference does it? A lot of people take an old frame and just force a modern wheel in it and off they go. Great… except when you force the dropouts apart it will stress the seatstays especially around the brake bridge and the frame won’t be in track any more! Forcing a modern rear wheel into an old frame is not a great idea. Don’t despair though, we can re-track your frame to the right width for a modern wheel. Usually this will also require fitting of a new brake bridge as well. You can read more about a frame which had been opened by this method here. What wheel size did the frame have originally? Even into the 1980s plenty of frames were built to take 27 x 1 1/4 wheels. 700c wheels are slightly smaller than 27 x 1 1/4 which means you’ll most likely need to fit longer reach brakes. Obviously if you’re wanting to fit modern Campag or Shimano dual pivot brakes then you’ve no chance. There’s not really much of a way round this problem. 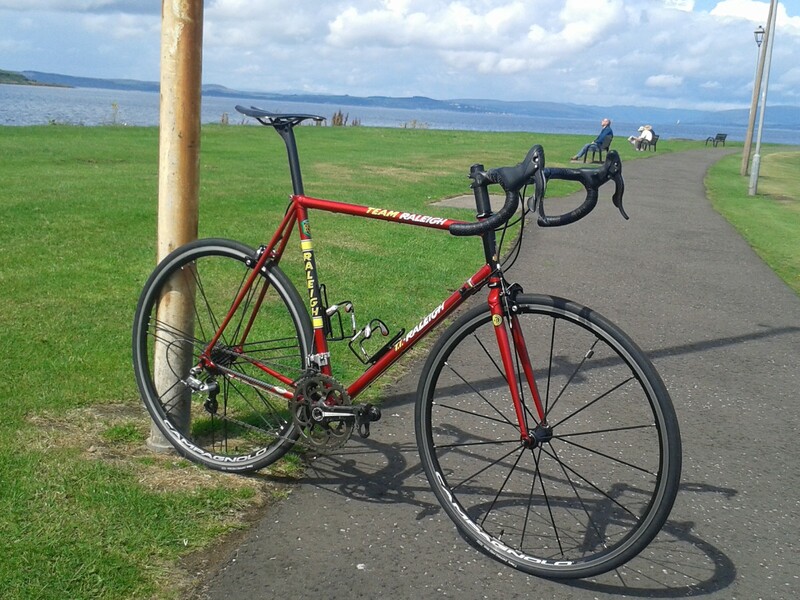 Sometimes its possible to fit cantilever brake bosses on the frame or use long reach centre pull brakes. What type of brakes was the frame built for? Modern dual pivot brakes all have allen key recessed nuts, but all frames built before the 1980s and plenty of frames built during the 80s were built for standard nutted brakes. It’s not a big deal to sort out but just remember to budget for having your forks drilled to accept allen key brakes and a new allen key brake bridge fitting. As I mentioned before if you’re having the frame widened, then you’ll need a new brake bridge anyway. We can help you with any part of the process. For more information on the services we off, check out our Resprays & Renovations page.